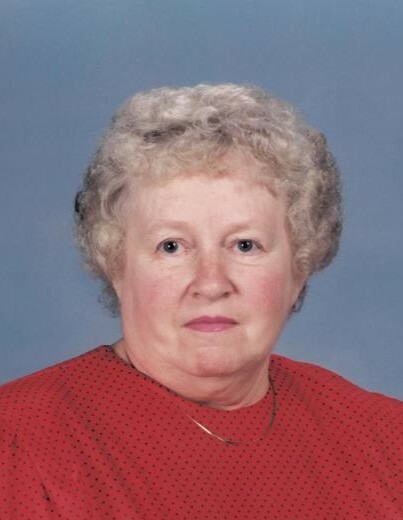 Doris May Harris Kamer, 85 passed away Sunday, March 31, 2019 at the Pavilion of Piketon Nursing Facility. She was born April 25, 1933 to the late Gilbert and Beatrice Fritz Harris Sr. Along with her parents, she was preceded in death in 2001 by her husband of 47 years, Kenneth Kamer. Doris is survived by 4 children; Teresa Christman of Beaver, OH., Mark (Debbie) Kamer of West Portsmouth, OH., John (Corina) Kamer of Pembroke Pines, FL., and Kenneth (Veronica) Kamer of Hurdle Mills, NC., 10 grandchildren, 14 great grandchildren, 2 brothers; George (Peggy) Harris of Lebanon, OH. and Gilbert (Sharon) Harris Jr. of Portsmouth, and many nieces and nephews. Funeral services will be held at 1:00 PM Thursday, April 4, 2019 at the Roger W. Davis Funeral Home in West Portsmouth with Pastor Jerry Mullins and interment in Sunset Memorial Gardens. Friends may call at the funeral home from 6 to 8:00 PM on Wednesday and one hour prior to the service on Thursday. In lieu of flowers, the family request that donations be made to SOMC Hospice in Doris’ memory. Condolences may be sent to www.rogerwdavisfuneralhome.com.